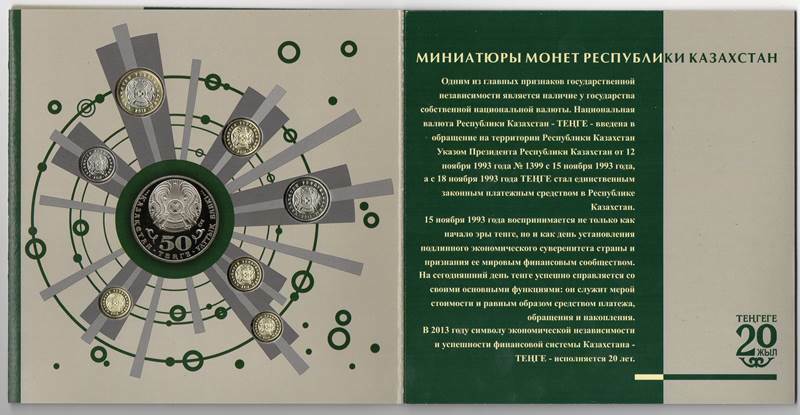 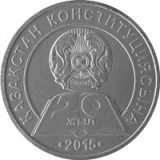 This is a very special set issued in 2013 on celebrating of 20 years of issuing of the national currency – Tenge. 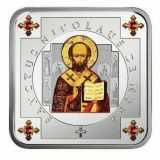 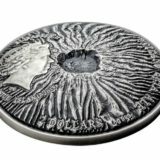 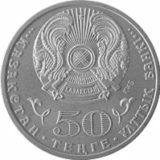 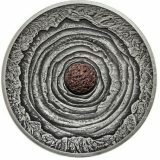 It contains 7 nickel coins of 1 Tenge, 2 Tenge, 5 Tenge, 10 Tenge, 20 Tenge, 50 Tenge and 100 Tenge denomination in miniature. 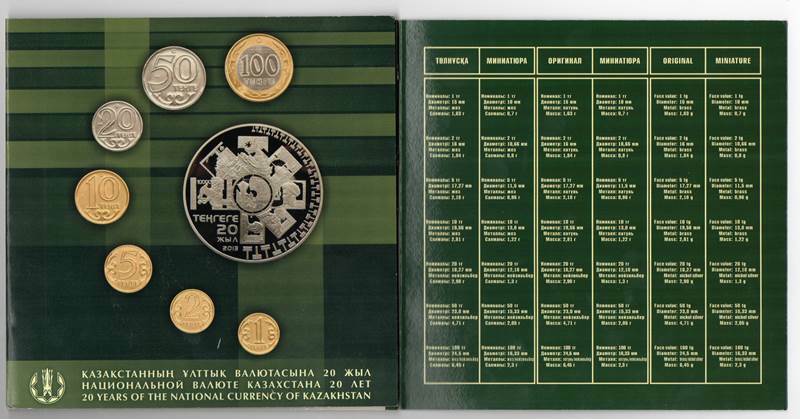 Only 1000 sets were issued. Most mintage was presented to the Kazakhstan and foreign authorities. 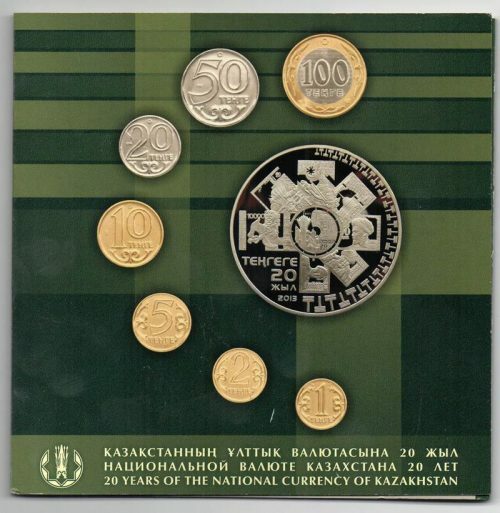 The set comes in official album of Kazakhstan Mint and National Bank of Kazakhstan. 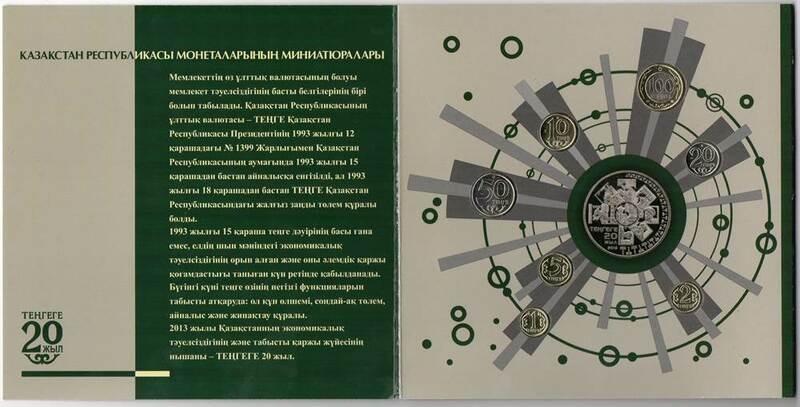 This is really very hard to find and collectable set!